RRB NTPC Result 2016 which is the most awaited result of the year is finally declared. As per the official update, the elongated scrutiny process of the test is somewhat done and the RRB NTPC Result is out. The most awaited result of the year 2016 is finally declared. Yes! 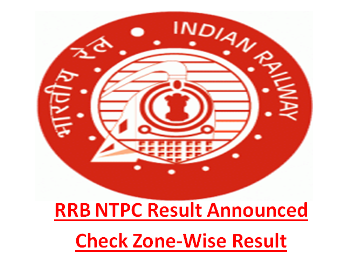 RRB has finally announced RRB NTPC Result 2016 after a prolonged delay. Candidates can check their result via official website using their registration number/ roll number and date of birth. As per the statement from Railway Recruitment Board, RRB NTPC Result 2016 was delayed due to intense scrutiny process being the world’s largest online exam which was held in 74 shifts. The Railway Recruitment Board conducted the RRB NTPC Exam in the month of March/ April/ May 2016 for recruitment to 18252 Non-Technical Popular Category (NTPC) posts across various centers/ zones. RRB NTPC recruitment 2016 for 18252 Non-Technical Popular Category (NTPC) posts summoned around 93 lakh applications of candidates out of which 56 lakh candidates were shortlisted and appeared in the written examination. For final recruitment procedure, RR B will schedule dates to conduct skill test, aptitude test and document verification. The recruitment method varies with different posts i.e., for Junior Accounts Assistant, Senior Clerk and Senior Time Keeper the RRB will conduct typing skill test. Aptitude test will be conducted for Assistant Station Master and Traffic Assistant posts. The typing test requires candidates to type at least 30 words per minute in English and 25 words per minute in Hindi. Later the typing test and aptitude test the last step to finalize the candidate will be document verification. The document verification requires presentation of all the necessary original documents like: birth certificate, mark sheet, id proof etc., to the panel. To get RRB NTPC 2016 Result, click on the link given below.